Instant Family (film, 2018). A 2018 American comedy film with "PG-13" rating by Paramount Pictures. Directed by Sean Anders. Official Trailer. Instant Family is a 2018 American comedy film directed by Sean Anders. 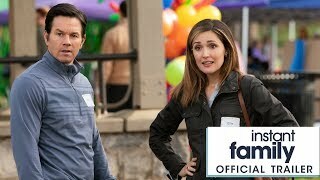 Instant Family (2018) - Official Trailer - Paramount Pictures. Married couple Pete and Ellie Wagner, after being taunted by relatives who think they will never have kids, start considering the option of adopting a child. Initially half-serious, they eventually decide to enroll in a foster parents course. Two social workers, Karen and Sharon, guide the hopeful parents on the steps to getting into becoming adoptive parents. The couples are brought to a fair where they have the chance to go up to kids that they are interested in adopting. Pete and Ellie walk by the teenagers, although Ellie shows hesitance over raising a teen, but one of the teens, Lizzy, informs Ellie that they all know no one wants to adopt the teens. Impressed with Lizzy's behavior, Pete and Ellie talk to Karen and Sharon over potentially taking her in. The social workers inform the couple that Lizzy's mother is a drug addict who is currently in jail, and she set their home on fire because she left the crack pipe lit. It also turns out that Lizzy has two younger siblings, Juan and Lita. Although this seems like more of a challenge for Pete and Ellie, they agree to meet the siblings. The first meeting, however, does not seem to result in an immediate "bond", and Pete and Ellie reconsider. Pete and Ellie have Thanksgiving dinner with Ellie's family, where they announce that they intend to walk back on their decision to adopt. Once the rest of the family shows relief, making it clear that nobody really believed that Pete and Ellie could make it, Ellie gets upset and decides that they will go through with the foster care to prove that they can be good parents. 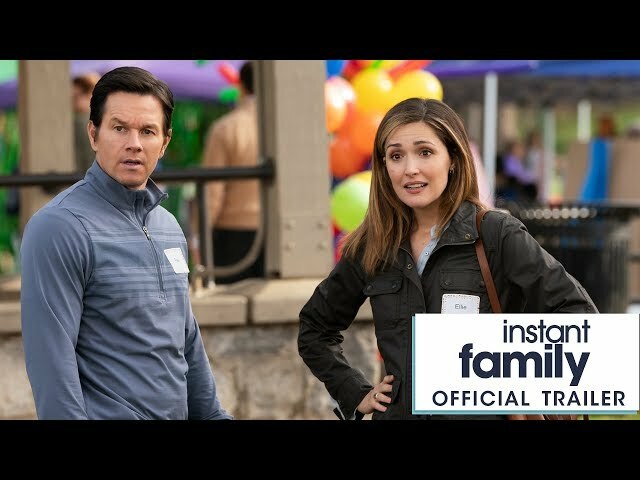 The film Instant Family was scheduled to be released by Paramount Pictures on November 16, 2018 (United States), on January 31, 2019 (Germany) and on February 14, 2019 (United Kingdom). The duration of the film is 118 minutes. With a budget of $48 million, the film grossed over $120.4 million. Instant Family got high rating from critics. The audience also likes the film. Audiences polled by CinemaScore gave the film an average grade of "A" on a scale ranging from A+ to F.